Four Most Common Ways We Can Pick Up Negative Energy From Other People. There are certain times when you can absorb negative energy from other people more easily. As humans we are gifted with a free will. You are free to choose how you respond to people and circumstances. According to your beliefs and thoughts YOU choose = YOU give meaning to everything that happens in your life either positive, negative or neutral. And of course, your response you give to people and circumstances makes you feel a certain way - again it can be only positive, negative or neutral. 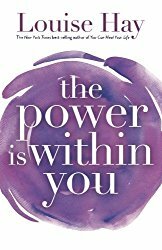 So we can easily turn our life into a negative downward spiral or into an abundant life fulfilled with all that we desire. We are very powerful thinkers and creators of our reality. With that said, there are moments in our lives when we might be more vulnerable to other people's negative energy in a same way as we are more vulnerable to a flu virus for instance. Have you ever caught the flu and spent days in your bed while the rest of your family members were just fine? You caught a virus because something (stress, bad food, lack of sleep) caused your immune system to be weaker. In the same way, you can be affected by negative energy from other people when you are in a weaker emotional state or out of balance state. Negative energy sent consciously or unconsciously from other people may be behind some of the unexplained problems and tribulations in your life. Main reason is often envy and jealousy. You may start to feel down, lose zest for life, ability to focus and create and your success at work may stop. Negativity can also come from some bad people that are dissatisfied and self-centered for very long time. They know that their thoughts are bad, but they are unable to change or fight them. On the other hand, negative energy can be sent by people who care excessively as well. For instance if mother keeps wishing for a long time that her unwelcomed son-in-law leaves her daughter finally. That energy is going to be very harmful to him. Great protection against negative energy are prayers. You can ask Archangels Rafael and Michael or any of protective Guides from your religion..
For immediate relief from negative energy from other people you can use Tiny Coals Cure. As always the best protection is to be aligned with the Universal energy feeling balanced,thankful and grateful all the time. 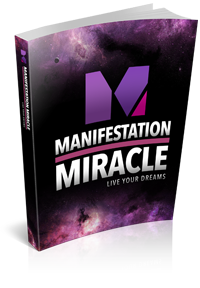 Manifestation Miracle helps to improve any area of your life - love, success, relationships, and abundance. 1. One of the most common ways we can pick up negative energy from other people is when our own bodies bioenergetic protection is compromised. This can happen during any transition in your life or when dealing with large amounts of stress, feeling overwhelmed or anxious for a prolongned period of time. These states lower your vibrations and make you more prone to attracting and absorbing negative energy. It's how we react to difficult situations in our life that can make us weaker or stronger. Have faith that all will work out and Being Grateful are the keys to Happy Life ! Many times you don't realize that you can be your own worst enemy. For instance, when you keep telling yourself the same negative story every day and you expect only difficulties ahead of you. Or when you keep thinking and talking about negative experiences from your past over and over again - vibrationally you are recreating that same experience in your life again. In all examples you are holding yourself down, felling stuck and frustrated. You are stopping yourself from making changes you desire in your life. How your beautiful and wise body feels when you talk to yourself like that? 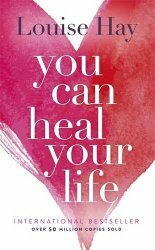 If you feel any of these or similar thoughts you need to immediately get and read books from authors such as Louis Hay or Esther Hicks and start transforming your life story. If you continue to tell yourself the same story, it will continue to be true. When you change your story, you change your life. When you don't feel strong and in charge of your life, you are vulnerable and open to other people's agendas. If you meet another person that chronically complains or lives in permanent stress, worry, fear and bad expectations - you may be affected by their strong negative energy. This can even be someone you deeply care about, there are a lot of people stuck in lot of negativity. They come to you because they feel better after they spend time and talk to you. You on the other hand may experience sudden feeling of anxiety, fear, weakness, headache, pain or an increase in body temperature. You might have an unusual argument later on or receive bad news. Energetically, you helped them feel better while you feel worse. Tiny Carbon Water Cure to fell instantly better. 2. Another way we can be affected by negative energy from other people is when you are a Highly Sensitive Person or are very Intuitive. As you know you attract, receive and feel energy from people more easily. In this case it's important you have daily awareness of anyone thinking of you and "wanting something " from you. You need to clear those blocks immediately so you can continue to have a productive day. Use our powerful Red Blessing Cure to clear negative energy from other people and feel peace of mind for daily protection. You need to be aware of how you feel. Work on raising your vibrations and feeling better. Remove as many toxic relationships out of your life as you can and surround yourself with nature as well as a group of wonderful people you enjoy and can learn from instead. Add strong positive charge to your life daily! 3. Another way to be more vulnerable to negative energy from other people is when your balance is off because you are upset, angry or unforgiving. If most of the time you feel angry, frustrated or sad because of someone, especially if the other person you are upset with is a negative and bad wishing person you are lowering your vibrations. Your low vibrations attracts even more things that will make you feel the same exact way. If you let yourself to be stuck in this negative situation you can even become physically ill. The sooner you forgive and move on the better. Never hold grudges or resentment for too long. If you have to cut out toxic relationships out of your life do it and trust all will work out for you. Stop feeding this vicious cycle. Use our Red Blessing Cure daily to forgive and move on.... Don't let one person or one event to ruin happiness and blessings in your life. Forgiveness will set you free! The happier you will feel every day, the better things you will attract into your life. 4. Another way to easily pick up negative energy from other people is during events. Many times during family or any other educational, social or work events people get together and talk about someone's life sending bad vibes toward that person via their powerfully focused eyes. So if you come home suddenly tired, sick to your stomach, with headache or feeling unpleasant, worry or nervous you know it's time for a Tiny Coals Cure. Any pain or discomfort if caused by negative energy from other people will stop in a few minutes. 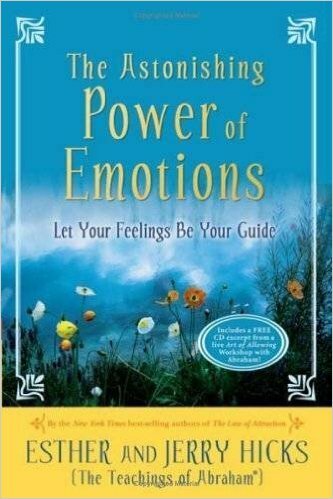 You can read more about how to clear negative energy or learn how to use our simple cures to clear negative energy at these pages.